No, it's not an April Fools joke this time. 10. Authorization to acquire the rail line Connecticut River Main Line from along the Knowledge Corridor from Pan Am Southern and all adjoining property, as well as passenger rights held by Pan Am between Springfield and the Massachusetts border for a purchase price of $17,000,000. Question is.... What is the MBTA going to do with it? The Conn River line doesn't connect to any existing MBTA service anywhere. $17M ... That's like what, 170 SD40s? Did they even get the approval to do such? And were is the MBTA finding the money to make such purchases? "5. Authorization to approve a contract with Pandrol USA, LP, for $ 8,230,633.00 to furnish and deliver 572,000 Resilient Fasteners, 609,700 screw spikes, and 285,400 tie plate-resilient fasteners required for the construction of the Knowledge Corridor/ Restore Vermonter Project. 6. Authorization to approve a contract with Koppers, Inc, for $ 4,131,833.32 to furnish and deliver 69,048 treated crossties which are required for the construction of the Knowledge Corridor/ Restore Vermonter Project." From what i gather, the goal behind MassDOT's proposed acquisition of the Connecticut River Line is not to provide any MBTA service there, but to upgrade the tracks to allow Amtrak to increase service on the Vermonter. It's not an MBTA expense...nothing to get concerned about. They're subcontracted by their own MassDOT bosses for engineering and labor on the Vermonter project, and so they are also tabbed as the negotiating intermediary here. MassDOT doesn't have its own rail division personnel; they have to borrow the in-house experts to make some things happen. All related Vermonter budget items go on the "state-sponsored" ledger, and the T gets reimbursed for those costs. The track ownership will go on the state map in "EOT" green, not "MBTA" pink. I'm pretty sure they can't own out-of-district per the terms of the agency charter. The CSX transfer of assets put the Fall River and New Bedford branches under MassDOT ownership, not MBTA...those can't be transferred onto the T's ledger until the out-of-district towns formally join the district. Them's the rules. $17M is a steal for a line that critical. Keep in mind that the CSX pu-pu platter cost them $100M. For the mileage and passenger + freight traffic growth this brings under public trust it's a transaction the state will drop everything and make money appear to close it out. The century-long ROI for owning it is slam-dunk. That's how they justified the CSX transaction; that's how this one is easily justified. And the T plays its part--at no penalty--as the intermediary. I'm just surprised PAS is selling it that low. F-line to Dudley via Park wrote: I'm just surprised PAS is selling it that low. They're getting something else out of the deal, trust me. The MBTA does own quite a bit of trackage outside the district. Fitchburg, Lowell, Haverhill, Newburyport, Brockton, Attleboro, Plymouth, Gloucester & Rockport are way beyond the MBTA district which was set up about 1964. There are also places where the MBTA owns freight only trackage or now abandoned track that are beyond the district like Maynard, which opted out of the MBTA, and Hudson. edbear wrote: The MBTA does own quite a bit of trackage outside the district. Fitchburg, Lowell, Haverhill, Newburyport, Brockton, Attleboro, Plymouth, Gloucester & Rockport are way beyond the MBTA district which was set up about 1964. There are also places where the MBTA owns freight only trackage or now abandoned track that are beyond the district like Maynard, which opted out of the MBTA, and Hudson. It's 175 towns now, and those towns served by commuter rail have all long since joined. Per the current district map, Hudson and Berlin are the only towns where the T owns a ROW outside its official district. Those of course lost their service in '65 right when subsidy started, and there would've only been a 4-year overlap between the B&M line sale in '76 and the embargo that shut down the Central Mass to freight for good in 1980. Otherwise the ownership does conform to the current district map, including obscurities like the Greenville Branch ROW in Groton and Townsend. The last charter change was 1999 when forward funding was enacted and 97 new towns were added to the district, setting the current borders. The 2 CM outliers were probably grandfathered, but they are the only outliers in the current district and nothing's gone out-of-bounds since that last charter revision. Among out-of-district lines: Cape lines are EOT-owned, South Coast lines Taunton-points south EOT-owned, Franklin/Air Line west of end-of-track DCR-owned, in the district 'holes' municipalities the Hudson/Berlin segment of the CM is the only landbanked line with all other abandonments lapsed-ownership or private/"other" ownership, and every single publicly owned ROW west of I-190 is EOT-owned. Last edited by F-line to Dudley via Park on Mon Jul 09, 2012 10:53 pm, edited 1 time in total. Besides the Vermonter, isn't this also a part of a Springfield-Hartford-New Haven commuter rail service to be operated by Amtrak (in addition to the NEC shuttle)? I was sifting through the PDFs recently. 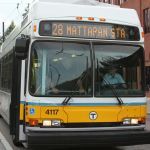 Supposedly to be running by 2015, though it seems to be hushed up on the MBTA forum. BostonUrbEx wrote: Besides the Vermonter, isn't this also a part of a Springfield-Hartford-New Haven commuter rail service to be operated by Amtrak (in addition to the NEC shuttle)? I was sifting through the PDFs recently. Supposedly to be running by 2015, though it seems to be hushed up on the MBTA forum. No. NHHS commuter rail is on track Amtrak has owned almost since its inception. There's no CR proposal north of SPR that's actually been subject to an official study yet, although it has been talked about as a long-term desire. Amtrak's the only passenger carrier of going concern in the sale area. Approved today. MBTA given rights to run the line. PAS made out with $17M, not a bad deal for them. I'm assuming PAR will still have access to the line? Nothing will change for the operations of PAR trains. They still dispatch it and maintain it. Just the owner and cash flow for projects have changed. This is really more MassDOT and not the MBTA taking over. CN9634 wrote: Approved today. MBTA given rights to run the line. PAS made out with $17M, not a bad deal for them. MBTA rights here are much like MBTA rights on the PAR Worcester Branch...there's no practical reason they're needed and you'd have to strain to invent one, but they're perpetual and more or less free so nobody has to have an idea as to why they'd need to have a hold. If 75 years and X many charter revisions from now somebody has got an idea as to why the T should run on it, the paper barriers are long-settled. I am pretty sure when the hand-off is complete that this is going to get filed under EOT ownership. They've never made the T carry ROW's outside the district borders on its ledger, not even the CSX/South Coast ownership changes that just officially took effect this year. Public ownership (Mass DOT/MBTA) may make it easier to secure federal funding for repairs/enhancements to the line. IIRC, PAS is Norfolk Southern's vehicle for competing with CSX in Massachusetts.